Already installed OS X Mavericks, but now you want to create an install drive for other computers? Or maybe the Mavericks installer became corrupt during the process? 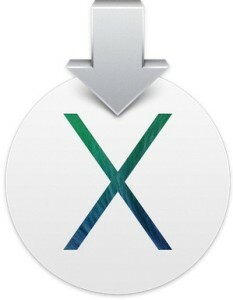 Whatever the situation, you can easily re-download OS X Mavericks from the Mac App Store. If the Mac is already running OS X Mavericks, redownloading the installer is extremely easy. The OS X Mavericks installer will wind up in your /Applications/ folder as usual, and Launchpad or the Launchpad Dock icon will show you the progress and transfer speed. The file is 5.3GB, so it can take a while to download depending on your internet speed. When finished downloading, you can either copy the Installer over to other Macs, make a simple installer drive, do a clean install with a fresh system, create a bootable installer with the command line method, or whatever else you want to do with it. Some individuals have reported better success with the “Purchases” tab, so you may want to try that if you experience difficulties elsewhere. It’s not entirely clear why some users encounter the corrupted download issue, but deleting the Installer and trying again seems to resolve it every time. The link for creating a bootable installer is old information – that method no longer works. I have already got Mavericks installed and am trying to locate the OS X Mavericks Installer from the Applications folder but it is not showing up. I have searched with spotlight but it seems it is not on my MAC anywhere. Do you have advice please. The OS X Mavericks installer deletes itself after you install it on the Mac, that is why you must re-download it if you already installed it. also you need the 10.1 updater, right? Apple will presumably have a “Combo” installer once it has a 10.2 update. Doesn’t work on Yosemite. There is no way to continue with the download. It should still work in Yosemite, but you’ll have to find the download in your purchase history: click on Purchases at the top of the App Store window and then find the OS X download. After the next major release of OS X (in this case Yosemite), Apple takes down the normal page for the previous version (in this case Mavericks), so you can’t just search for it and download it. You have to find it in your purchase history. what can i do do download mavericks? my mac came on mavericks, and it isn’t in my purchase history. Hi, after downloading Mavericks on 10/24/13, I noticed the download button in the Mac App Store is dark and continues to read “download”. Does this indicate a problem with the original download ? I have noticed comments about a corrupted downloader issue and I have odd things occurring like files disappearing, beach balls spinning for the smallest things, apps like iMessages where I cannot attach a file, etc. I fix preferences frequently in disk utility, but never improves. I am aware an SSD may help, but I also often have to sign in twice for no apparent reason with overall very slow performance. I got the “Blue Screen of Death” today…. I can boot in safe mode, but only about 30% of the status bar is displayed before it fails. My question is will that install wipe the drive..?? approximately how big is the install..?? Can I run the install from the SD card slot..?? Any help here will me greatly appreciated..!!!! To redownload the OSX 10.9 or 10.10 installer, you must do this on the Mac you used to download Mavericks or Yosemite in the first place. The button in the list of the “Purchases” tab in your App Store app will then be live and not dimmed. If you try to redownload on any other Mac, all you get will be a dimmed “downloaded” button.